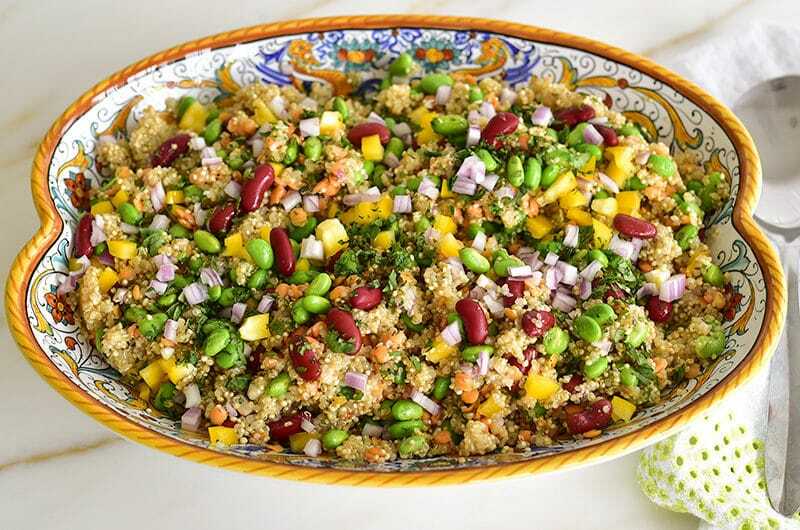 Quinoa Protein Salad packs a great protein punch, tastes incredibly good, and keeps hunger at bay for hours, and it’s vegan, vegetarian, and gluten-free (though some findings indicate quinoa may not work for celiacs). I was in the airport in Chicago recently, and felt like I’d stepped out of a time warp from somewhere far, far away. The food scene at O’Hare was beyond exciting, and I realized that it mattered not at all that I was just passing through with no time for more Windy City-love. I could satisfy a great many of my fixes right there in Terminal 2: Garrett Popcorn, Summer House Santa Monica, Wicker Park Seafood & Sushi, Vosges chocolates galore. Detroit Metro, my more typical stop on the way somewhere (because living in mid- and northern-Michigan means you always, always have a stop along the way), is no slouch with the food either. There, I have a singular food that I try for even in the tightest of layovers. I’ll keep stopping at the departure signs all the way down the terminal to make sure my next flight really is on time, and to determine how much risk I’ll incur if I stop at Plum Market. You would think that the magnetism of Plum Market would be Zingerman’s Zzang bar (the finest Snicker’s candy bar on the planet), or a See’s display that’ll make any Midwesterner fall in love with the West coast (as if the ocean weren’t enough). But Sugar Shoes taps deep into her clean Mediterranean roots as she makes her beeline for a container of Plum Market’s Quinoa Protein Salad. What I love about this salad is flavor, for sure, but also that it’s the kind of satisfying that carries you for a good many hours after. I’ve looked so closely at the salad that no doubt my seatmates have thought either I’m very picky, or looking for something that shouldn’t be there. But no, it’s the ingredients I’m taking note of: quinoa, red lentils, kidney beans, red onion, cilantro, edamame, brown rice. The vinaigrette is citrusy. I also love that the Quinoa Protein Salad doesn’t spend any of the indulgent-food coin that I know I’m going to spend post-travel, in the form of you’ve-arrived! or you’re-home-again! pizza or glass of wine (I’m predictable), at my destination. I started making the Protein Salad at home frequently a couple of summers ago. Need a lunch that’ll get you through all afternoon and curb overeating at dinner? You’ve found it. Want to protein-up a pizza dinner that shouts carb-carb-carb at every corner of the plate and cup? Bang: Protein Salad. The ingredients can vary to your every whim, even the basis of the quinoa, which can be traded out for farro or barley. Be sure everything is cooked al dente—the salad is meant to have a lot of texture and chew, not a soft mush of a deal. My shelled edamame goes straight from the freezer under a splash of running water and into the salad. The colorful Quinoa Protein Salad, all herbed-up and dressed right, is going to get you where you’re going, no airport required. Consider this salad a great idea you can play with. In the summer, cut fresh sweet corn straight from the cob, no cooking required. I like to use Rancho Gordo Domingo Rojo kidney beans, cooked in advance and chilled, but a can of cooked beans of any kind is swift. The original salad calls for a bit of brown rice; I don’t include that, but you can. 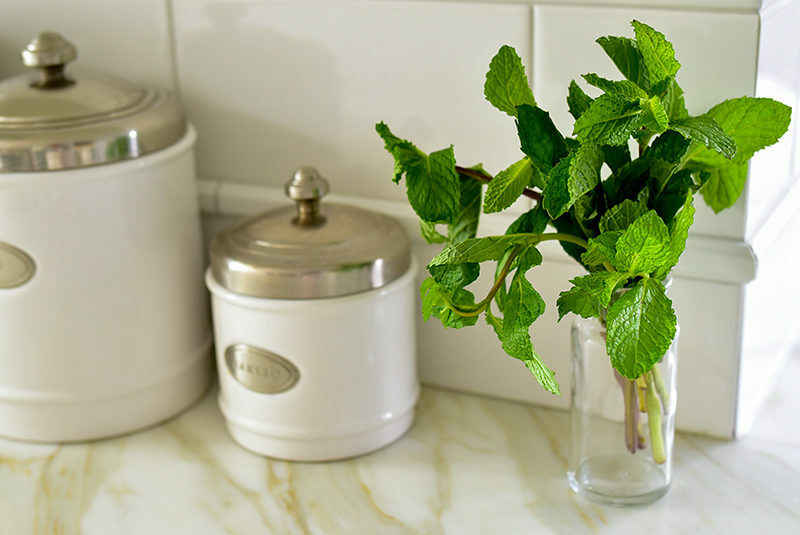 Fresh herbs are key to the bright flavor here. I always use cilantro and mint, sometimes basil too. Be absolutely sure to rinse the quinoa before cooking, to avoid bitterness. 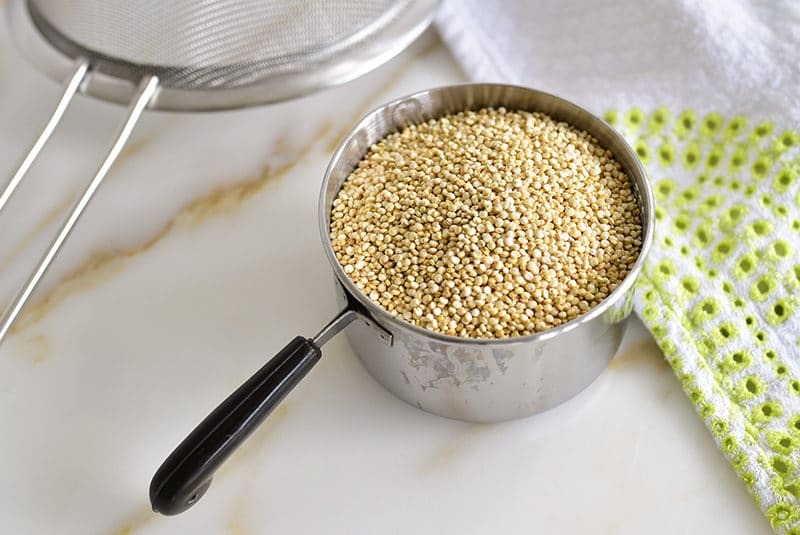 In a small saucepan, combine the quinoa with 2 1/2 cups water and a teaspoon of kosher salt. Bring to a boil, then simmer, covered, until the quinoa is cooked, but not too soft and mushy, about 10 minutes (keep checking, tasting as you go). Pour off any excess water. Cool the quinoa completely; this can be done quickly by spreading the warm quinoa out on a sheet pan. 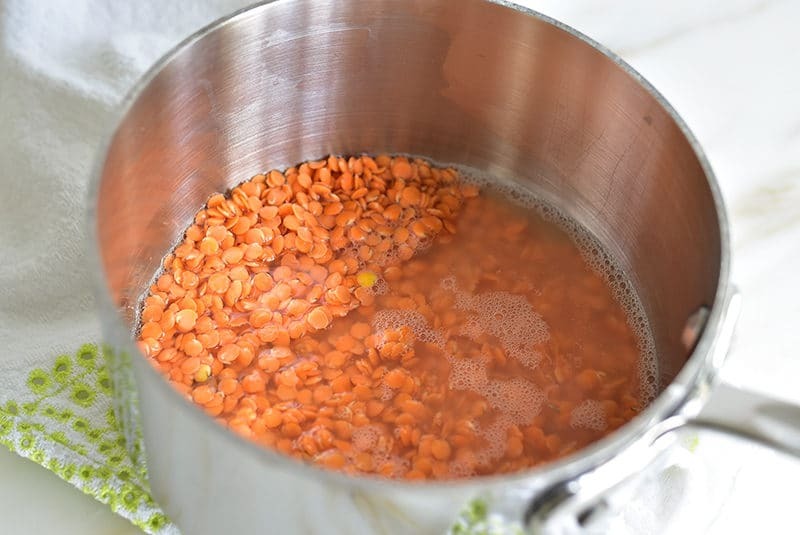 In another (or the same saucepan, rinsed), combine the lentils with 1/2 cup water and 1/4 teaspoon salt. Bring to a boil, then simmer until the lentils are al dente, and have not split, about 7 minutes. Rinse the lentils with cold water and drain. If the shelled edamame is frozen, rinse with cool water and drain. 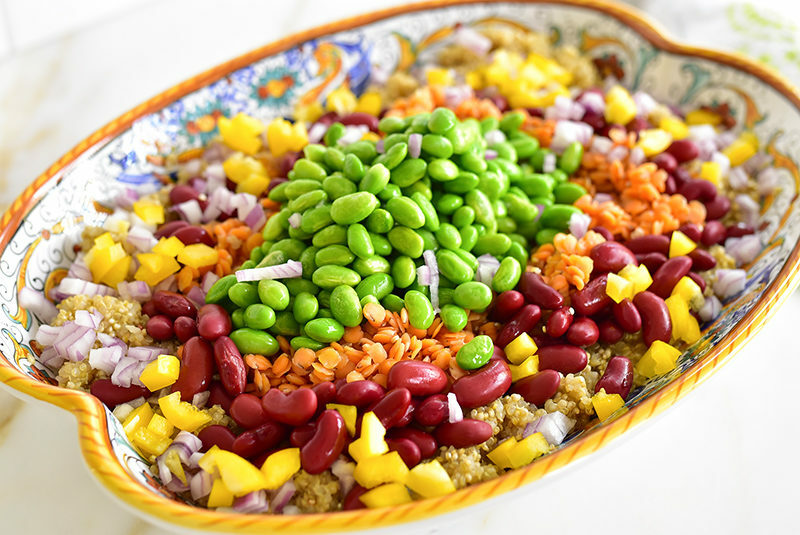 In a large serving dish, combine the quinoa, lentils, kidney beans, edamame, yellow pepper, and red onion. 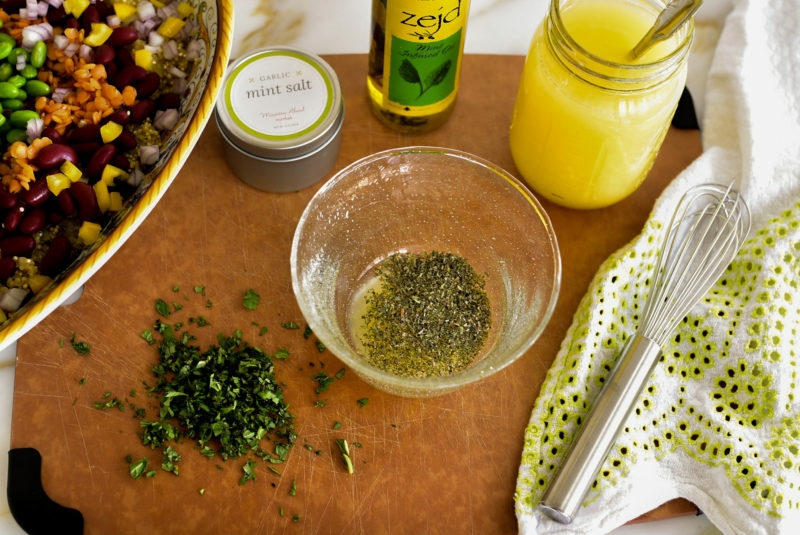 Make the vinaigrette in a small bowl by slowly whisking the olive oil into the lemon juice, rice vinegar, and garlic. Season with dried mint, 1/4 teaspoon salt, and pepper. Pour the vinaigrette over the salad and mix well to coat everything. Taste and adjust seasonings. Stir in half of the chopped herbs, then garnish the top of the salad with more chopped herbs. Serve immediately, or chill in the refrigerator for up to four days before serving. 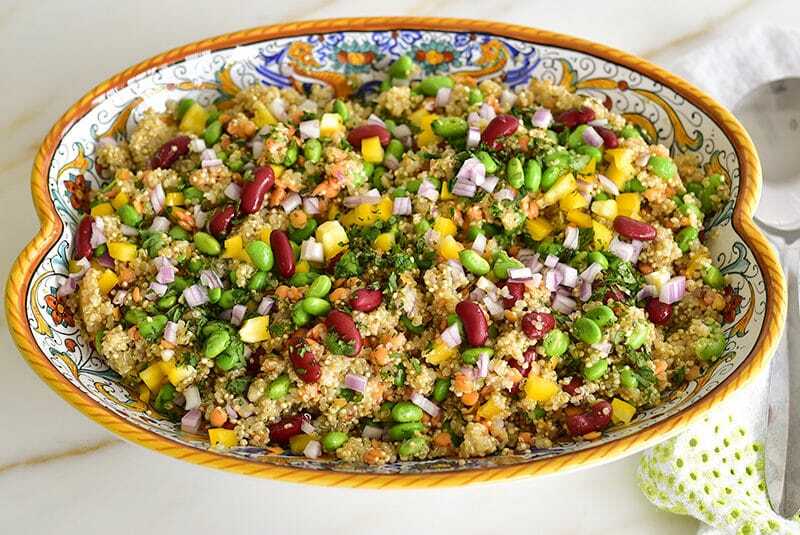 8 Responses to "Quinoa Protein Salad"
This sounds absolutely delicious. What would you think about using orange juice instead of lemon juice in the dressing for a twist. Well I think that sounds delicious! This looks and sounds wonderful!! 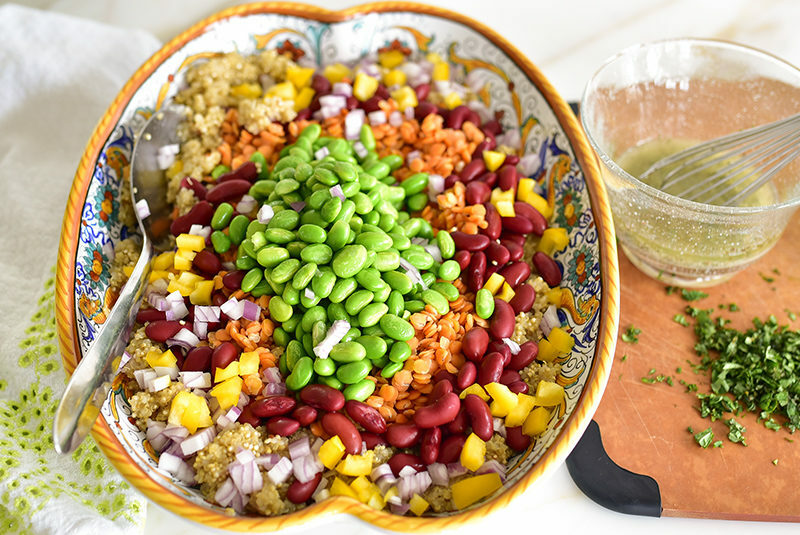 I’ve been trying to get more protein AND this is a salad I can make a big batch of on a Sunday, and have it for an already-ready healthy, nutritious, and filling lunch for work pretty much all week long! Loving the fact that it’s flavorful without requiring anything that wilts quickly mushes quickly like most basic salad ingredients. Thanks so much! Bingo! Thank you and enjoy your new go-to delicious, healthy salad! Maureen, it seems that every time you post a new recipe I find myself wanting to make it right away. This time was no exception. I made the Quinoa Protein Salad for dinner and my husband and I absolutely loved it. After dinner, he said, “this is a keeper”. Thank you! Oh I just love hearing that! Thank you Rickeia! At first I thought the yellow in this was mango. I think it might work well actually! Lise, couldn’t agree more, mango would be yummy!